Did you know that Lita had cancer? She didn't tell some of her online friends. She didn't want them to worry. Lita went to the doctor on Thursday, August 21. He told her the chemotherapy (obat) was no longer working to cure her cancer. He said she had 3 months to one year to live. She wanted to return to Indonesia. But, she died on Sunday, August 24. She had a good, two-hour telephone visit with her family after her doctor appointment. They also called Saturday night to tell her goodbye. She was in a coma but when she heard her father's voice, she woke up long enough to hear her family. I was there when Ralita died. She was at her home in Dallas. She was in a coma. Her American mother laid down on the bed beside her. We prayed. Her American mother sang to her. Lita gently passed from her American mother's arms into the arms of Jesus. Lita's American parents will take her body back to Indonesia to her mother and father. 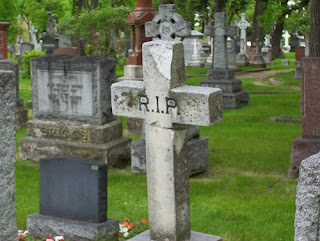 She will be buried there. I think the service will be sometime next week. If you would like to contact her family, I can send you her father's phone number. I really am not comfortable sending you the last pictures of Lita. It would be better for you to remember her from earlier photos. 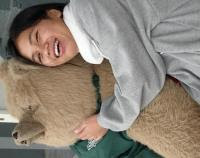 I love the photo of her on her friendster page - Lita hugging the teddy bear and smiling like always. Please share with all her online friends how much you all meant to her. She had such fun with all of you. She loved hearing from you. The time she spent with her online friends was happy time for her. Lita was an amazing young woman. Everyone who met her was touched by her beautiful smile and her sweet, spunky spirit. She will be greatly missed. I have a friendster account. If you would like to stay in touch, you can find my account via my aol account.